Home / key enablers / Top events on the industry’s radar; are they on yours? Top events on the industry’s radar; are they on yours? Minister for Defence Industry Christopher Pyne chats with industry partners at the Industry Event held during the Avalon International Airshow. Image via Commonwealth of Australia, Department of Defence. Industry’s appetite to attend defence events is often a window into the most lucrative business opportunities open for defence organisations – and the issues that are most pressing. With continuous shipbuilding on the agenda, and a number of major maritime acquisition projects in play – with SEA 1000, SEA 5000 and SEA 1180 all potential paydays for primes and SMEs – naval-focused events have been particularly popular this year. But 2017 wasn’t all about naval programs. 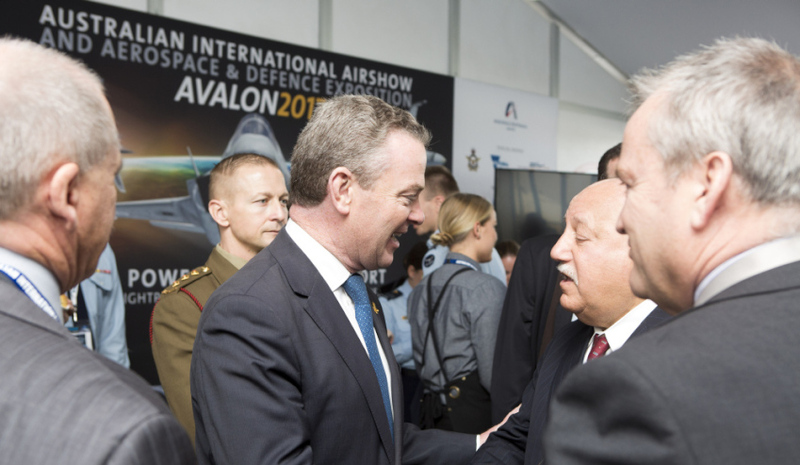 Events upwards of two years into the future are on the industry’s radar, with Avalon 2019 and Land Forces 2018 key among them. You can keep abreast of upcoming events with Defence Connect via its events section https://www.defenceconnect.com.au/events, and plan ahead so you are at industry events that matter.